TEAM Choir is an all comers group for anyone who has a desire to sing.The ability to hold a tune is optional. The desire to explore, create & have fun is essential. We're putting together a TEAM Choir in Cardiff (Sorry if you're not local, but watch this space...) to start in the new year. We'd like it to be an all comers choir with an emphasis on joining in, expressing ourselves, playing & creating, whilst increasing our musicality, confidence & general well being. We say you don't need to be an aspiring Jenkins or Terfel to join this choir, in fact, you don't even have to be able to hold a tune. We say all you need is a desire to use your voice to explore song. If you're interested in being part of putting TEAM Choir together then come & join us for a planning meeting (Date & Time TBC) where we can collectively decide what TEAM Choir will be. To get involved just join the TEAM Choir group & we'll be in touch to let you know the Date, Time & location of the planning meeting. If anyone has any thoughts/ideas please feel free to comment below . . .
You need to be a member of TEAM Choir to add comments! 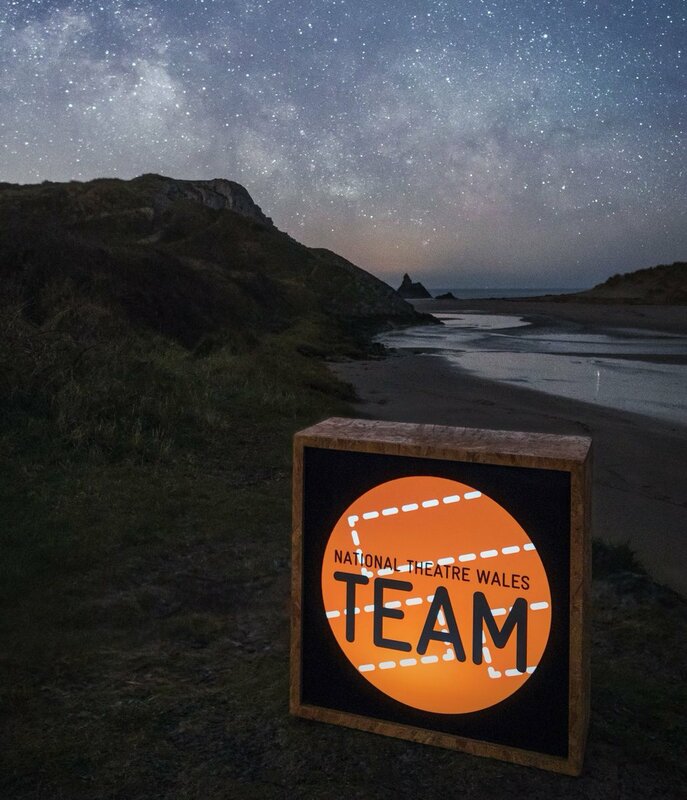 National Theatre Wales are looking for a group of men to be involved in an epic huge event taking place this summer. It's be a great opportunity to develop skills in ensemble work and understanding of large scale work. Deadline to apply is TUESDAY! I've posted an update about singing opportunities with the "Before I Leave" Chorus Here If you are able to spread the word I'd be most grateful. If you spread the word through the medium of song, even better. We're looking for Singers to get involved in the next show Before I Leave. Take a look at my blog & get in touch! Hi everyone. We're on the lookout for Mature Singers to form the Chorus for the upcoming show "Before I Leave"
Do take a look at the blog & also pass on to anyone you know who fits the bill & might be up for this incredible experience! We'd love to invite TEAM members of all ages are invited along to be part of a short video which will be used in NTW’s upcoming festive production The Insatiable, Inflatable Candylion and will also be used as a way of spreading the positive vibes of Pixel Valley in the lead up to the show! You will be taught a song from the show on the Ukulele, but not to worry - you do not need to know how to play the Ukulele already! Beginners are welcome! We don't expect you to be available for the day time one - but if you are then great, feel free to join. The important one is the evening internal shoot at Four Elms. If you’d like to join us in this fun opportunity email team@nationaltheatrewales.org to let us know! We had a great time working up to and making this recording. We all learnt new skills, met new people, working together as a team, encouraging everybody's individual input. All this FREE of charge too. It's a TEAM thing! If you'd like to join us for the next Vocal adventure just send an email expressing your interest to team@nationaltheatrewales.org & we'll get back to you soon. We met at the Scriptwriting course in Merthyr. Glad tonight's recording session went well. I'd be interested in joining the choir for the second wave, so look forward to hearing more about this in due course! TEAM's very first Choir - "The Cardiff Sound Collective" did a great job tonight down at Penarth Pier Pavilion. We've got a great recording which we hope to share with everyone soon. Who's up for joining us for the second wave? You are invited to "Cardiff Sound Collective - The First Wave"
We have spent the past six weeks learning together about various ways in which the voice can be used. For our end goal we have put together a loosely improvised piece consisting of spoken word, sound making, harmonies & improvisation. We have been given the lovely Penarth Pier Pavilion space to record our piece and we invite you to come along and see what we’re up to. The Recording will take place on Wednesday 20th May at 8:15pm at the Penarth Pier Pavilion & will last approximately 20 minutes. Hola! How about a Monday announcement? The fantastic Mab Jones will be joining the Cardiff Sound Collective this Wednesday to explore the Spoken Word with us.